Big businesses have major financial advantages. 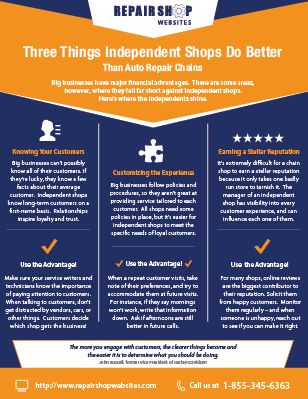 There are some areas, however, where they fall far short against independent auto repair shops. Click here to learn where independents shine.